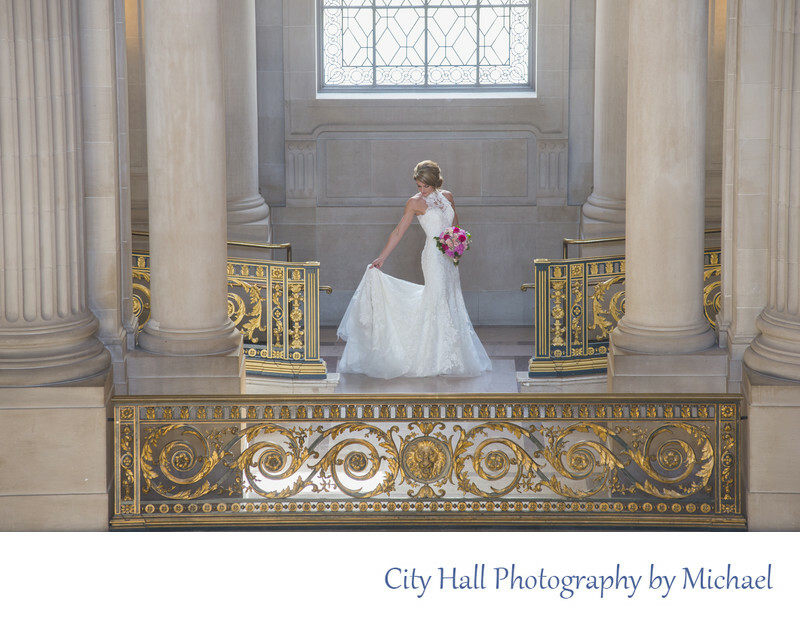 We like to have our city hall brides pose naturally in photos sometimes. Even though the image above is an actual posed photo, we tried to make it appear more natural by having her look back at her dress and hold it as though she was adjusting it or checking the train. As you can see, it puts her in a very positive light. The curves in her figure are accentuated and her face looking down looks beautiful. You also get a good look at some of the beautitful City Hall Archictecture in this shot.